Gothenburg is an extremely walkable city and getting yourself from A to B is generally pretty easy. 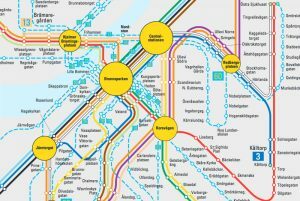 However, if you’re doing a lot of sightseeing or feel like getting out to see a bit of the Swedish countryside, it’s worth familiarising yourself with the extensive bus, tram and boat network. 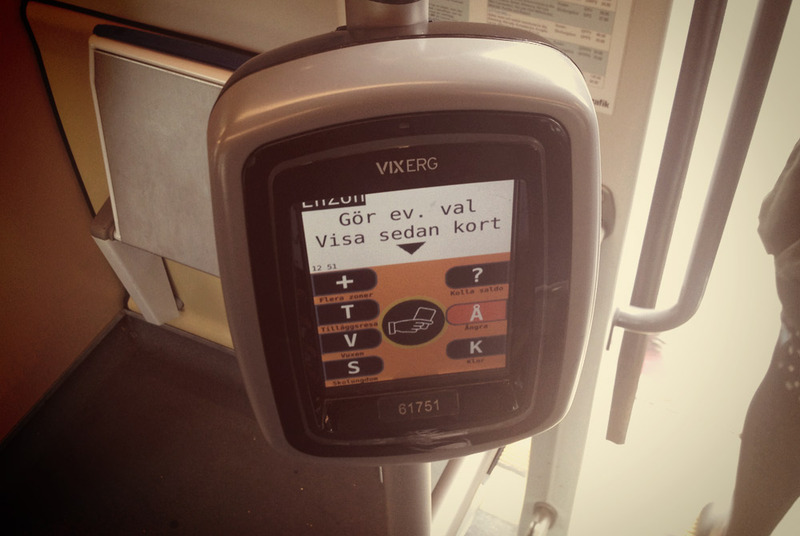 The whole thing is operated by Västtrafik, a council-owned company. This means it’s possible to hop between the different modes of transport without too much hassle. Scroll down for details on paying for your journeys. For most trips within the central part of Gothenburg, trams are the easiest option. They pull up at stops throughout the city centre – often right outside museums, restaurants and hotels. There are more than a dozen numbered lines that criss-cross the city and run out towards the suburbs. Usually you won’t have to wait more than 10–15 minutes for a tram to arrive, though be aware that services are a lot less frequent at night. Delays are possible, but surprisingly rare. Once aboard, keep an eye out for your stop. The trams don’t always stop if there is no one waiting to get on, so it is your responsibility to let the driver know you want out. Press one of the red buttons located inside the tram, or yank on the chain that runs along the top of the windows. A red light showing the word stannar confirms that the tram will be stopping. 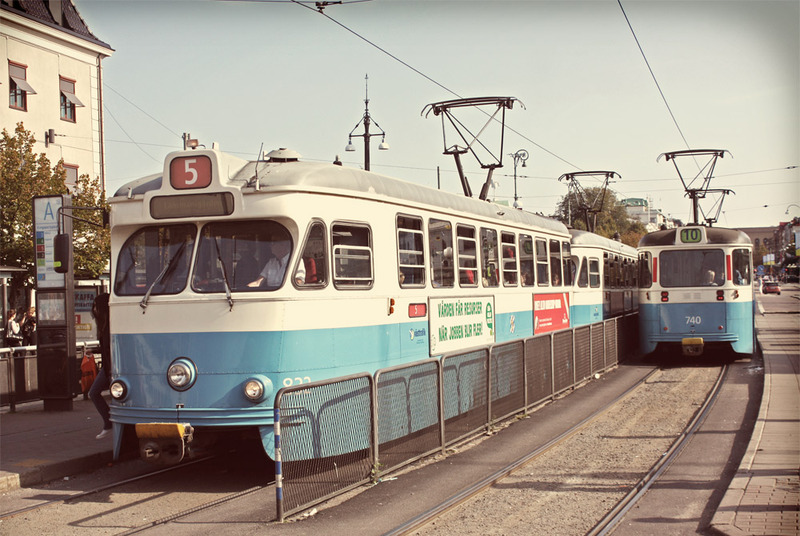 On Saturdays and daily throughout July, old-fashioned, single-carriage trams run between the train station and the Liseberg amusement park. Gothenburg’s bus routes do a good job of filling in any gaps left by the trams. They also run further from the centre, making it possible to reach places like Gunnebo Slott, for example. Unfortunately, getting around Gothenburg by bus isn’t as easy as using the tram. The main problem for tourists is that it’s not possible to pay for your journey with cash or a credit card on board, so you’ll have to use one of the other payment methods we’ve outlined below. Note that the airport buses mentioned in the arrival section are privately run, and tickets for Västtrafik services are not valid on board. One of the best things about Gothenburg’s public transport system is that it puts the beautiful islands of the west coast within easy reach. There are more than 18 public ferry routes in operation across the region. 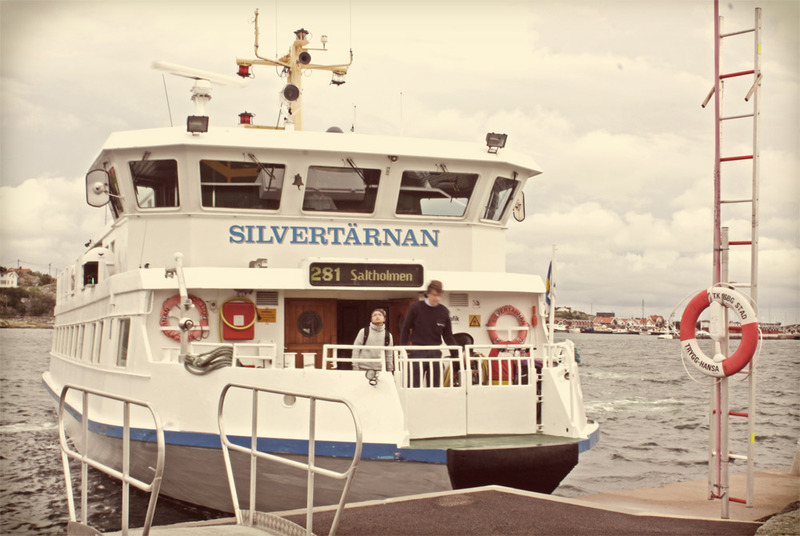 The most useful services are those running from Saltholmen to the islands of the southern archipelago, and the inner-city route that crosses the Göta River between Lilla Bommen and Hisingen. These operate year-round, even when it’s icy. 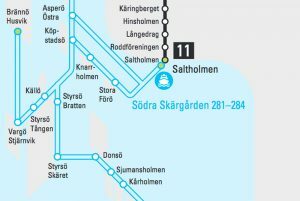 The Västtrafik website has a useful route planner which you can use to get up-to-date information on bus, tram and boat departures. It’s available in English but has an annoying habit of switching back to Swedish without warning. If you buy a Gothenburg City Card, which gives admission to dozens of attractions across the city, you will already have free access to the public transport network. Ride as much as you like within the time limit specified on the card. You don’t need to ‘check in’ with this card – just show it if someone asks. On trams, you can pay for a single ticket with cash or a credit/debit card. For journeys within central Gothenburg press ‘Gbg Vuxen’ on this machine and either drop coins into the bowl at the top or swipe your card in the reader. The paper ticket that drops out at the bottom is valid across all modes of transport in the city centre for 90 minutes. 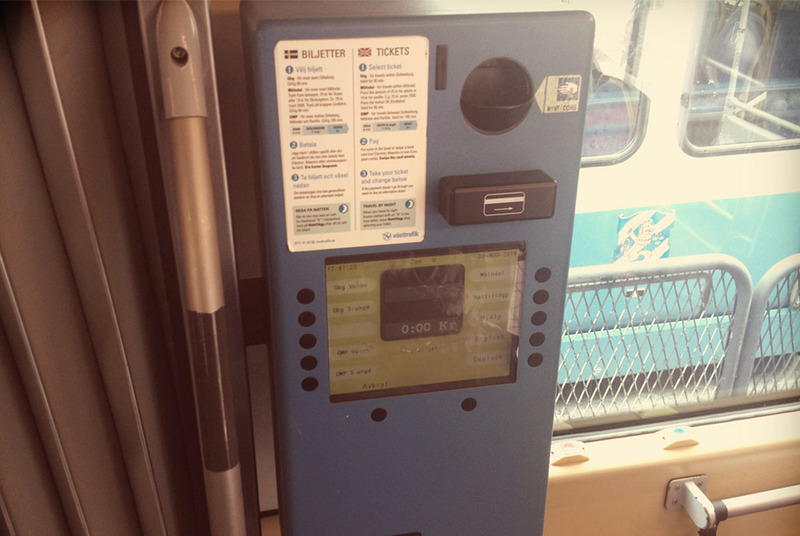 Note that these machines are not available on Gothenburg’s boats or buses. If you don’t want to buy a Gothenburg City Card and are planning to travel around a fair bit (let’s say more than three or four single journeys) the best option is to buy a green pre-pay card. One- and three-day travel cards are available across the city at branches of Pressbyrån and 7-Eleven, and cost 85 SEK and 170 SEK respectively. With these you can travel as much as you want within the given timeframe. To activate the card, hold it up against one of the readers (shown below) when you step aboard a boat, tram or bus. With this kind of ticket, up to three people under the age of 20 can ride free with every paying adult. If you’re planning to stay for a longer time, we’d recommend buying a blue pay-as-you-go card instead. Pay a 50 SEK deposit for the card, pre-load it with cash (minimum 100 SEK), and then only pay for the journeys that you make. Remember to hold it up to the card reader each time you start a new leg of your journey – one journey within the centre lasts 90 minutes from the first check in. For some reason it’s not possible to buy a text message ticket (SMS biljett) unless you have a Swedish personal identity number. So unless you’re thinking of staying put and becoming a Swedish citizen, you’ll have to stick with one of the more primitive payment methods. Relatively flat and with dedicated cycle lanes running parallel to most streets, Gothenburg is a great city for cycling. 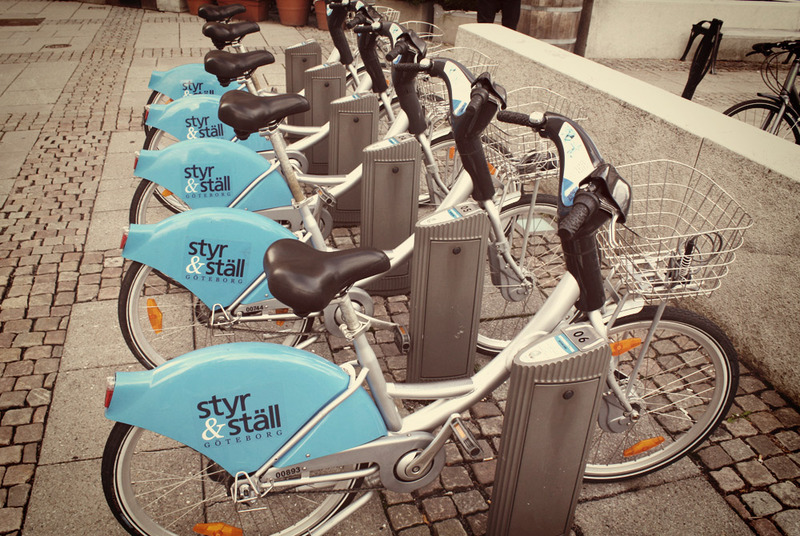 From March until late December each year, the city’s bike hire scheme – Styr & Ställ – is open for business. You’ll find the blue and silver bikes at more than 60 locations across town and can hire them for up to 30 minutes at a time without incurring a charge. When you’re done, simply drop the bike back at any of the stations. Except… it’s not quite that simple. To rent some wheels you first need to buy a pass from one of the machines next to the bike racks. 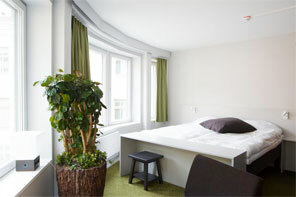 A three-day pass – the shortest amount of time available – costs 25 SEK. 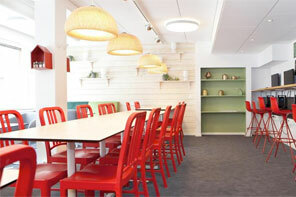 A deposit of 140 SEK will also be blocked on your credit card, in case of any problems. Be sure to return the bike to any cycle station within 30 minutes, as the hourly rates for exceeding that limit are pretty steep. 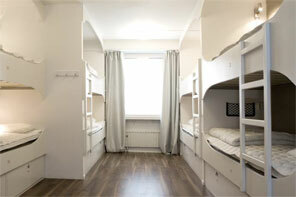 For longer rentals that allow you to get out of the city centre and perhaps even to the islands, try Cykel Kungen at Chalmersgatan 19.